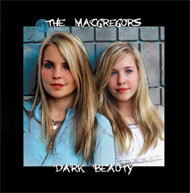 Back in May, Ian MacDonald posted about a Canadian Band called the MacGregors who were coming to the UK looking for opportunities to play at Churches and Youth Events. They already had bookings around the London area, and were going to be finishing off around Oxford, so trying to arrange something for them in the Wokingham area seemed like a good idea. We thought about maybe doing something at St James at that point, but with a big Youth Group event a couple of weeks before, and multiple conservation fund raising events, not forgetting the Harvest Supper, all falling around the same time, there didn’t really seem to be a slot. I tried to help by putting them in contact with people around the Wokingham area, and again nothing seemed to work. Since having visitors from Canada seems to be something we do quite regularly (can’t quite think why that is 😀 ), I’d also been offering suggestions about the best touristy things they could do whilst they were in the area, it was a bit disappointing when neither the Wokingham gig, nor something at Finchampstead seemed to come together. However it also posed a problem for the band as they still had a gap in their schedule, so in a nice offer they said that if we in Finchampstead could provide them with some accommodation, giving them a chance to go do the touristy stuff like Windsor and Stonehenge, and by way of a thank you they’d play us a concert for whoever wanted to come along and listen. We’re currently trying to find them all beds for the week that aren’t too scattered around the village (any other offers of beds most welcome too). So, as a result, we have the MacGregors playing a concert in the Parish Centre at St James on the evening of Friday 12th October, at 7:30pm. We’re totally unsure what support we’ll get from the congregation, as the Harvest Supper is the weekend before, and there is another big conservation event the week after! Tickets will be Â£7, plus a contribution of pudding or main course for a bring-and-share supper, and any profit that we make will go into the conservation fund (less than Â£100,000 to go!). So if you’re not doing anything on the night of 12th October it would be great to see you at the Parish Centre, although they have been really nice about the prospect of not having many people, it would be great if we could get a good number along to support them. Also if anyone knows of someone with a a six input powered amp with speakers and two mics with boom stands I need to get hold of those for the night too. From playing at huge shows, like the Bell Centre (13,000 people), to playing at coffee houses, The MacGregors are drawing listeners from across Canada and the world. Combining ear-catching harmonies with their mature and creative songwriting and acoustic and electric instrumentation, they create a sensation when they play. Mixed in with their live performances has been radio airplay on local and national stations. Although they are young and entering full swing into the music industry, they already have had tremendous success. They completed their first EP “Rain” when they were 12 and 13. Two songs off of that EP received recognition in the well-respected International Songwriting Competition 2003. Rachel won first place in the teen category and Alisha received an honorable mention. Rachel attended Berklee College of music on a full scholarship to their summer program. They won favorite New Artist in the Okanagan Musician Awards 2004. Alisha 15, and Rachel 17, recently finished their first full length CD, Dark Beauty. Again this year, both Alisha and Rachel are winners in the 2005 International Songwriting Competition. This time Alisha took first place and Rachel took 3rd. Alisha will be travelling to Boston to Berklee’s summer program on a full scholarship. They competed against teens from around the world and the competition had 15,000 entrants in total (www.songwritingcompetition). Rachel’s song Dark Beauty is also a finalist in the John Lennon Songwriting Competition (www.jlsc.com) competing against songwriters of all ages. Most recently, The MacGregors won an all expense paid tour through Music BC called “Get Outta town Tour”. Update: Okay we’ve got places for them to stay – indeed enough that they could change host part way through the week if they wanted. We’ve also got someone who has volunteered an amp too. Ticket sales are going okay – as expected lower thanks to the Harvest Supper but a real mix of the congregation – quite literally eight to eighty! Still room if anybody else wants to come along though.